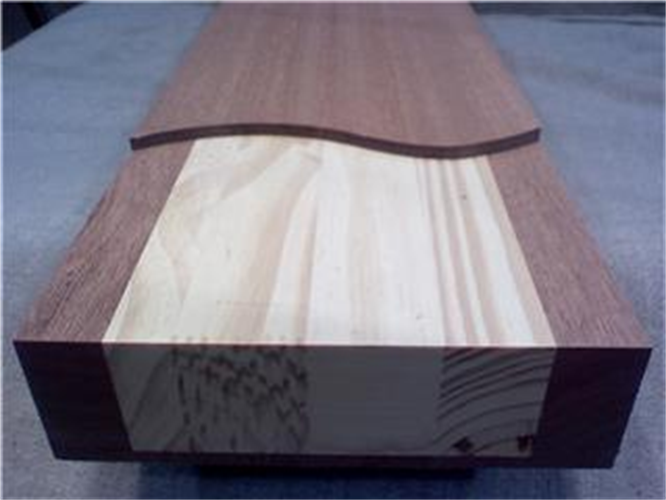 An engineered wood door stile, which many people refer to as “stave core”, with veneer cut away to display the core and edgebands. « Engineered wood door stiles and rails machine beautifully whether S4S or in the rough. We provide engineered products for both the door and window industry. Engineered door stile and rail products and engineered window parts are custom made to your specifications in widths up to 10". Copyright © 2010-2019 Door Stiles, LLC. All Rights Reserved.